Metso’s Board of Directors has made resolutions on new earning periods for the company’s senior management’s long-term incentive plans. Metso’s long-term incentive plans consist of Performance Share Plan, Restricted Share Plan and Deferred Share Unit Plan. Competitive long-term incentive plans are designed to align the interest of Metso’s management with those of its shareholders to increase the value of Metso and to commit the management to the company. PSP 2019-2021 commenced at the beginning of 2019 and potential share rewards will be delivered in the first half of 2022 if the performance targets set by the Board are achieved. The potential share reward payable under the PSP 2019-2021 is based on the total shareholder return of Metso’s share during calendar years 2019-2021. The plan includes 11 executives belonging to Metso top management and will comprise a maximum of 190,000 reward shares (gross before the deduction of applicable payroll tax). The next individual plan within the Restricted Share Plan, RSP 2019-2021, commenced at the beginning of 2019 and potential share rewards will be delivered in the spring 2022. The maximum number of share rewards that may be allocated and delivered within the RSP 2019-2021 totals 60,000 shares (gross before the deduction of applicable payroll tax). The Board also approved a commencement of a new plan period for the Deferred Share Unit Plan (DSUP) structure. Metso originally announced the establishment of the Deferred Share Unit Plan arrangement on December 14, 2017. DSUP 2019-2021 commenced at the beginning of 2019 and potential rewards will be delivered in the first half of 2022 if the performance targets set by the Board are achieved. The Deferred Share Unit Plan consists of annually commencing individual three-year plans. The plan rewards its participants for individual and company level performance during a one-year performance period and the final value of the potential reward will depend on Metso’s share price development during a two-year share price performance period. The plan includes approximately 140 participants. The maximum amount of rewards payable for the years 2019-2021, based on the average price of the Metso share on February 4, 2019, is approximately EUR 9 million (gross before the deduction of applicable payroll tax). The final value of this individual plan will depend both on the achievement of the performance targets set by the Board of Directors for 2019 and the development of Metso’s share price during 2020-2021. Metso is a world-leading industrial company offering equipment and services for the sustainable processing and flow of natural resources in the mining, aggregates, recycling and process industries. With our unique knowledge and innovative solutions, we help our customers improve their operational efficiency, reduce risks and increase profitability. Metso is listed on the Nasdaq Helsinki in Finland and had sales of about EUR 3.2 billion in 2018. 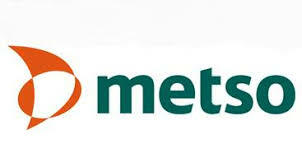 Metso employs over 13,000 people in more than 50 countries.